Need an auger that matches “your” specifications? Auger Supplies WA can assist! 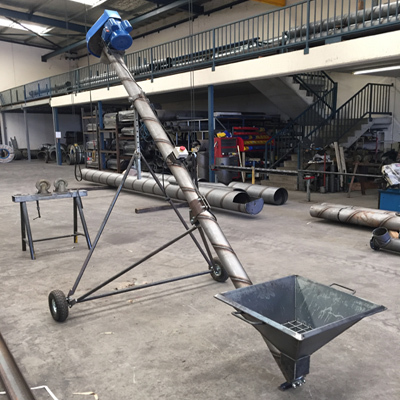 We manufacture augers to the customer’s requirements, whether it be a simple pencil auger, mobile field auger or trough auger system. Custom augers are made to your specifications and we are happy to provide as little or as much work as you require. If you are not sure of what you want we can provide assistance. 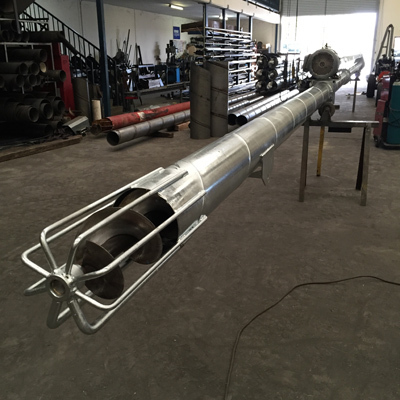 Learn more about having a CUSTOM AUGER manufactured. 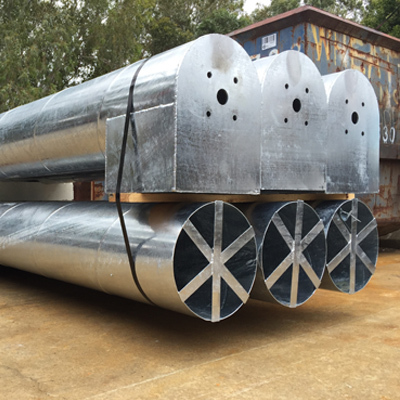 We usually have in stock our Whizitup GALVANIZED self propelled 9″ x 46′ or 50’ augers. These are a heavy duty unit with mechanical drive along the top of the barrel. All welding is done prior to the barrel and undercarriage parts being hot dip galvanized. These “off the shelf” augers are tow away and ready to go with a petrol Kohler engine. Compared to what else is on the market they are very good value for money. In our HydraWhiz range we manufacture 10” and 11” up to 50’ fully hydraulic augers and other sizes to order. These are all powered by air cooled 3 or 4 cylinder diesel engines that operate at a low 2000 engine RPM. Consequently fuel consumption is good and all engines come with a hydraulic fluid radiator cooler. While these engines are excess to the augers requirements we provide them anyway as a standard feature, and the engines have excess power output. All of our Whizitup augers are heavy duty units with specifications unsurpassed by other auger brands. 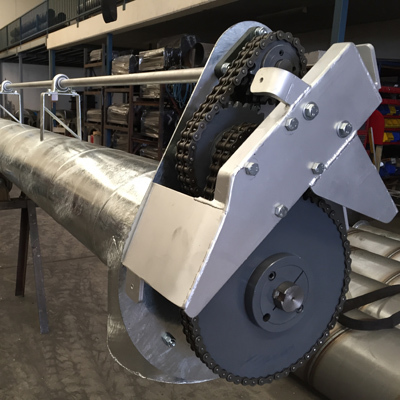 Packed full of great features our field augers are readily recognized, as apart from the internal auger and hydraulics, they are now completely hot dipped galvanized. If you have seen the rest you should take the time to come see the best at Auger Supplies. Other augers of the same size just do not compare value wise. LEARN MORE ABOUT THE WHIZITUP RANGE HERE. We undertake a variety of repair works to customer specifications. 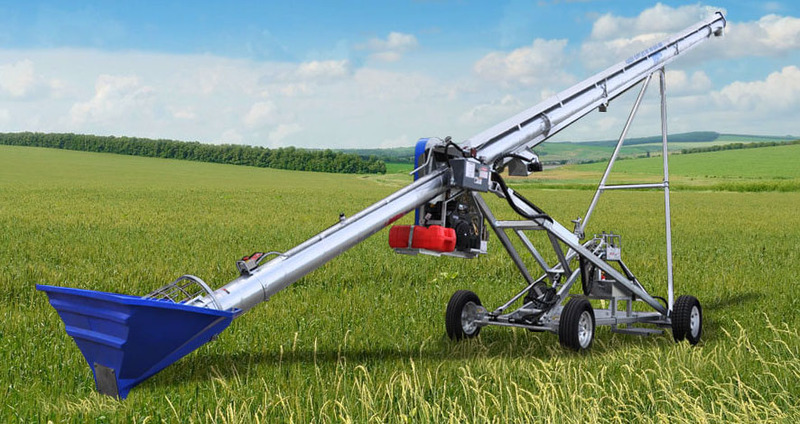 Whether it be a simple re-flighting, re-barreling, or a complete remanufacture of a mobile auger top section (where the undercarriage is quite sound but the barrel and flighting is past its use by date), we will be able to help. Sometimes we will need for you to bring the auger to us to enable the repairs, but quite often we can get enough information from you over the phone or via email to save you a trip to the city. Click here for some ‘helpful’ information if you wish to repair the seed and super augers on an old Coles 5 in 1 Bin. Transport is a limiting factor in how long we can make your auger unless it is a “tow away” unit. It pays to check beforehand what length your transport operator will carry. We often do barrels in two bolt together sections with a flanged joint where transport length is a problem. If you have the expertise and ‘”know how”, we stock and can supply most of the items you will need to repair or manufacture your own auger unit. For more information on what kind of DIY kits you can order click here.